I’ve managed to stay detached from the adult colouring-in craze, but it turns out I just hadn’t met the right colouring book. This breathtaking collection of black and white pictures by Australian Children’s Laureate, Alison Lester, has me rushing out to buy a set of pencils, pronto. Oh, but isn’t it for children, you say? Sure it is – for children aged 4 to 100! Fans of Alison Lester’s work (ahem, yours truly) will delight in the opportunity to -- dare I say it -- live vicariously, by personally recreating the beautiful spreads we loved in Magic Beach, Kissed by the Moon, Noni the Pony and Imagine. 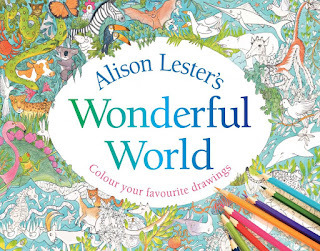 There are fantastic tips from Alison for budding artists that make this more than just a colouring book. The endpapers are collages of Alison’s works, annotated with suggestions like ‘always leave a little bit of white in eyes to make them sparkle’ or ‘you can colour smoothly or roughly’. There’s also an introductory section, ‘My Drawing Tips’, with some background info on Alison’s love of drawing. She demonstrates the effect of different mediums by illustrating the same bird with a biro, paint brush, wax crayon, charcoal, etc. She encourages readers not to ‘stay inside the lines’, but to add their own drawings in amongst the pages. 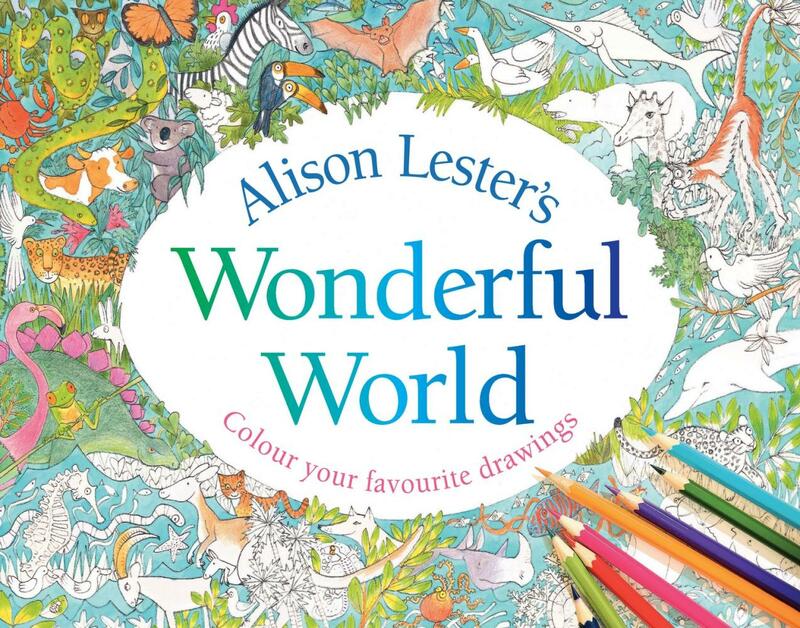 Some will open up their favourite Alison Lester book and set it up beside their picture, copying the colours and textures as best they can. Others will completely reinvent the spreads with their own interpretations. Regardless, it is wonderful that she has offered us a chance to do so … and shared some of her artistic secrets too!